The strip of coast between St-Michel-en-Grève and Pointe de l'Arcouest in northern Brittany is one of the most panoramic stretches of coastline in France. The name derives from the massive granite cliffs rising out of the sea, which take on a pink hue if hit by the sun from a certain angle at twilight. The cliffs are believed to have been created by volcanoes during the Mesozoic period. Since then the ocean, wind and frost have carved bizarre sculptures in the granite. An especially scenic stretch is the Sentiers des Douaniers (border patrol path) from Perros-Guirec to Ploumanac'h, a five km path framed by clouds and the sea. Le Gouffre – “The Maw” – is a deep notch in a cliff. When the sea water penetrates Le Gouffre, there is a high spray. 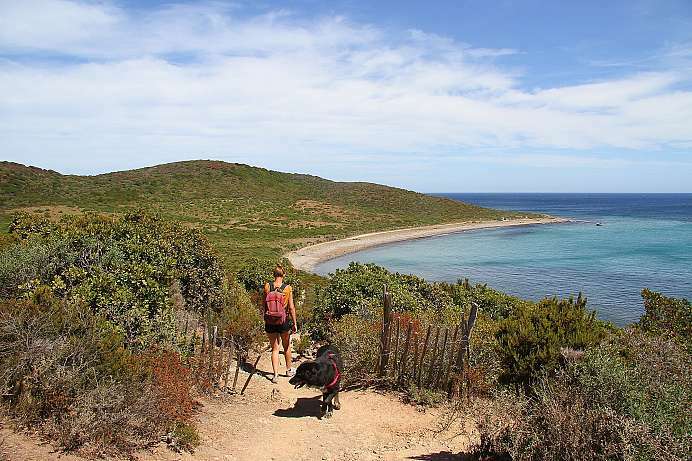 Several hiking trails lead to the striking landmark, among others the custom offeicers trail along the coast on the long-distance hiking trail GR 34. You can park you car at the parking lot at the “Maison du Littoral” and from there walk past the granite house on a sandy track towards Le Gouffre.. 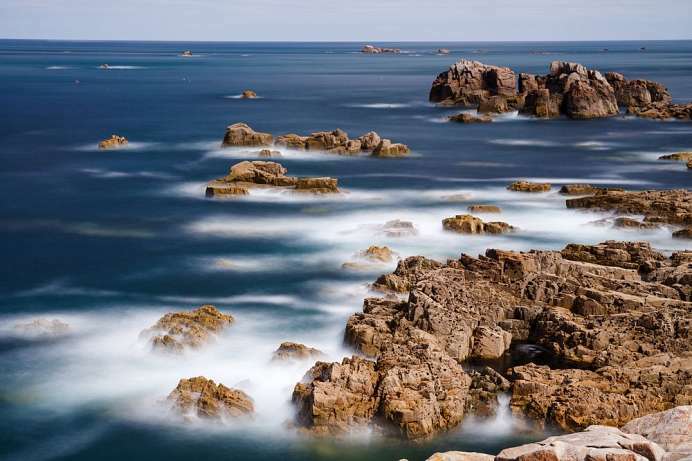 The customs officers' route leads along the Brittany coast, where smuggling once flourished. It is today one of the French long distance hiking trails, the GR34. Especially beautiful is the section from Perros-Guirec to Ploumanac'h. A path that connects the sea and clouds. Asterix fans will remember that in the hinterland of the Brittany coast there was the village of the indomitable Gauls, where Asterix and Obelix beat up Romans and hunted wild boars. 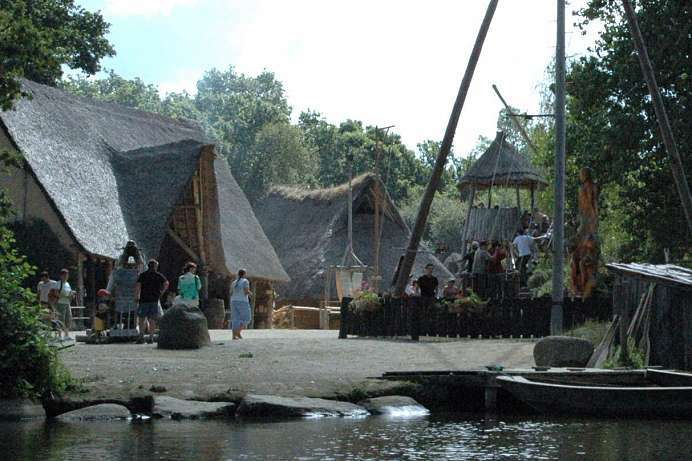 The “Village Gaulois” is an open-air museum opposite Isle d'Aval with an adventure park for children.